It’s February already; long past the time of ‘new year’s resolutions.’ The truth is, January this year, hit me with a thud. It was both good and wonderful, mixed with sorrow and lament. And so it’s February, and I’m just now writing this entry, although I did think a little about my tradition of ‘choosing a word.’ I have been attending a contemplative prayer group on Thursdays, at my local Episcopal church, and rolling ones thoughts over a single icon or word is part of that practice–it can be centering to simplify your thoughts. It makes choices a little easier to decide if something is in, or out. My word last year was regeneration; and throughout the year as I made choices about my thoughts and my time, all I really had to ask was, ‘does this work towards regeneration?’ Lots of things got ruled out, because I realized they were not regenerating, they were decaying. At the end of 2016, I heard a lot of people discussing hatred and anger at the offerings of the year. I understand in a way, because 2016 did have some rather unfortunate moments, and yet at the same time I hesitate to attribute time as the agent of evil (although, Biblically, this isn’t totally off. The book of Ephesians at one point references that ‘the days are evil.’) But if we think of days as the sole propagators of evil, we forget that it was us who walked within them, and filled them as we chose. To me, time feels less like the instigator or villain, but more like a place–a place that we can fill as we choose. Time is terra incognita—the unknown land, waiting to be discovered, and looking to us to decorate it’s palaces with whatever beauties or horrors we desire. 2017 is mostly still unknown; we have a few creative tools as humans. We have our words, our thoughts, and we have our time. 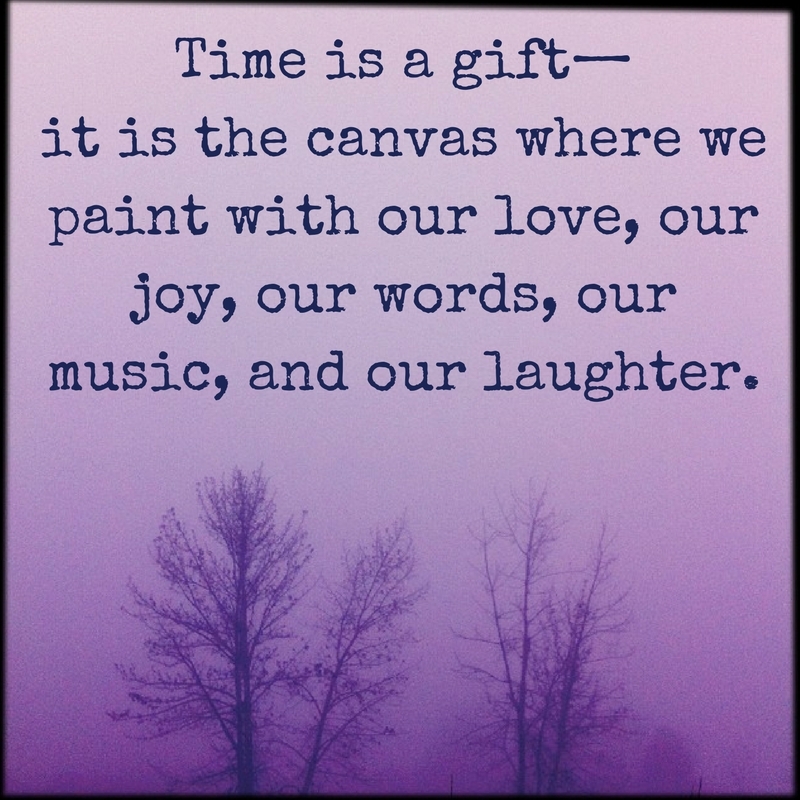 Time is a gift—it is the canvas where we paint with our love, our joy, our words, our music, and our laughter. Without it’s margins, however unforgiving those margins may be, our life loses its context. We are at this point tethered to time, just as we are tethered to these bodies, and we are tethered to this space—and because of that, these dimensions carry a sacredness. And if you want to follow the rest of that Ephesians verse, it speaks of redeeming time, or making the most of it. Without becoming lost in the complexity of what time is or isn’t (which is a fun trip, but not the point of my writing today), this year, I’m not really picking a resolution or a word, but I am thinking of 2017 as terra incognita. It is the unknown land that I’m off to discover; and just as all explorers, we get to decide what we will do with our discoveries. Will we build? Will we destroy? If we do, what will we build? What monuments will we leave in the history books? Will we sow in love and will we plant in generosity? Or will we uproot in fear and withdraw in apathy? I am not the creator of this land, but I do get to discover it, and so do you. Whatever will we make of this space? What will we collectively make? What will we individually make? Time is a gift; how will we redeem these days?